When most of us go for a walk, a single sense—sight—tends to dominate our experience. 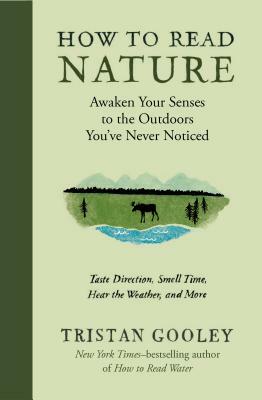 But when New York Times–bestselling author and expert navigator Tristan Gooley goes for a walk, he uses all ﬁve senses to “read” everything nature has to offer. A single lowly weed can serve as his compass, calendar, clock, and even pharmacist. In How to Read Nature, Gooley introduces readers to his world—where the sky, sea, and land teem with marvels. Plus, he shares 15 exercises to sharpen all of your senses. Soon you’ll be making your own discoveries, every time you step outside!